I have been running my blog: Ranting the Day Away for a couple of years. My musings, opinions and my self improvement journey have all featured there and I have loved doing it. I have been more honest, sometimes brutally honest, in that blog than in any other aspect of my life. If someone asked me for a definition of who I was, I would have directed them to the blog. A friend recently described the way I write as being that she could hear my voice through the words I had put on the page. I think of that it as a compliment as I believe that you can only be yourself and if that comes across in my writing, then I have achieved my aim. Recently however I have set up an additional blog called Words of a Curve. 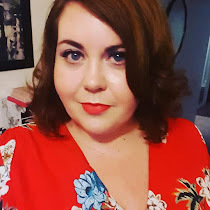 The idea for this blog was to deal with the side of me that I didn’t talk about on Ranting the Day Away, the plus size part of me and all the stories that lie within it. Over the course of the month I have done various posts and have gotten a good reaction to them. As well as the “outfit of the day” posts I have put the stories in there too. I have even more honest with this blog and have said and done things with it that I never thought I could actually do. Today though, a thought struck me. I was still hiding. Keeping the two blogs separate just didn’t make sense, either for the upkeep or for the question of which post to put on which blog. The plus size girl was still hiding around the corner, now saying the occasional thing but letting the loud speaker of the first blog do all the talking. Well, sod that. So here I am. Merged. The title of the blog is The Curved Opinion which seems to fit the joining of the two blogs. The whole me, the whole truth, just as ranty as before. I’m still going to write as I intended to from the start. You know the phrase “Dance like there is no one watching”. Well my phrase for this blog is “Write as if no one in the world will read it”.